If you have already created grooming services, training services or hotel stays that they are not already invoiced, you could delete these services directly. Select & click the service to view all the information and in the bottom of the page you could see a red color button Delete to delete that service. You can delete only the invoice. This process deletes only the invoice and leave the associated service pending to be invoiced again. Or Delete invoice and their associated services. This option will delete the invoice and all the associated service, grooming service, training service or hotel stay associated with that invoice. Go to View > Sales, select and click in the desired invoice to see all invoice details and in the bottom of the page you could see the Delete red button. If you click over this button, these two new options will appear. Select the option you need. Important Note:: All the information you delete from the software, will be deleted permanently. It couldn't be restored. If you edit an invoice (for example to modify an amount, a percentage of taxes, etc.) this change is not updated in the check-out document, because the check-out has already been generated (it is "already closed" and you can not change it). The check-out is now "pending invoicing"
In the option View > Check-in you can edit or change what you need, make the exit and invoice again, already with the correct data that you had corrected. How to delete ALL INVOICES? IMPORTANT: THE DATA CAN NOT BE RECOVERED IF YOU REMOVE THEM. ARE YOU SURE YOU WANT TO ELIMINATE THEM?. Click on the red button "Delete all invoices"
If several users work in your business, we recommend you to block access to this option to the unauthorized person, since otherwise, they could eliminate all invoices from the system. 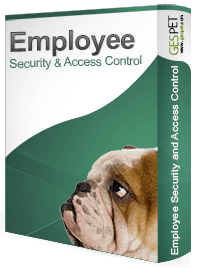 You will control the access of your employees for greater security of your business. Read more info.